Feedback from today's Public Playtest thread! Please place feedback and bugs from today's Public Playtest here! 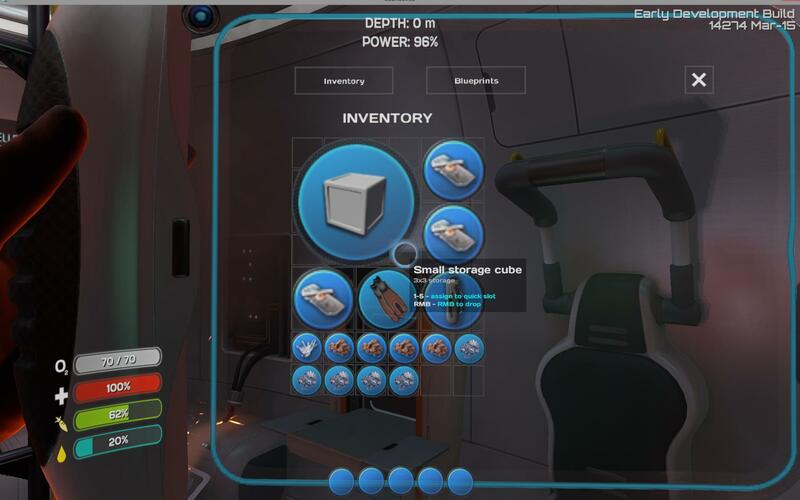 - The small cube says "3x3 storage" in the tooltip (when crafting and when mouse hovering) but it takes up 4x4 space in your inventory when picked up. - Whilst playing in survival mode I am finding that I spend a little too much of my time hunting for and crafting food and water. This has been alleviated slightly with the latest patch by way of having the airsacks, but it is still an issue for me personally. The balance seems a little bit off. - It would also be great if there was some way to supplement food and/or water later with other renewable methods, just to make the process a little speedier for the player to gather these things. This is especially important later on once the player has a lot of other things going on, lots of bases and subs to worry about fuelling and exploring with etc. Dropping tanks will have you keep the o2. Save while a sub is being build. 1. The salt pickup detection is limited the big block you cant pick them up by looking at the other blocks. 3. 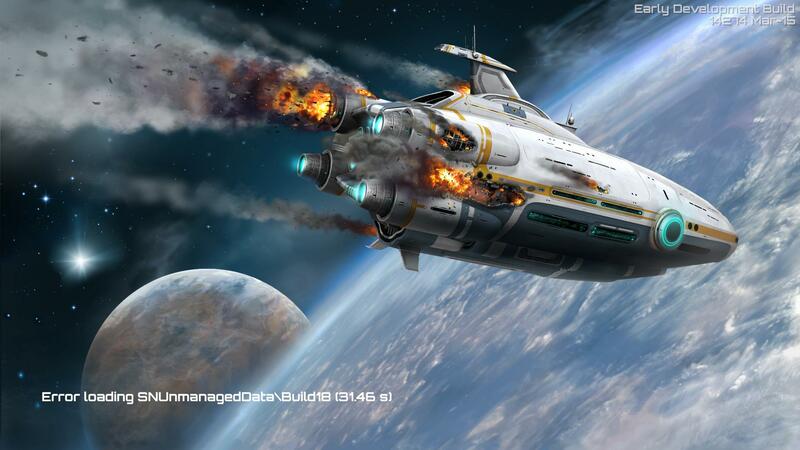 Errors on loading "Error loading SNUnmanagedData\Build18"
All the windows on the cyclops = model see-trought. 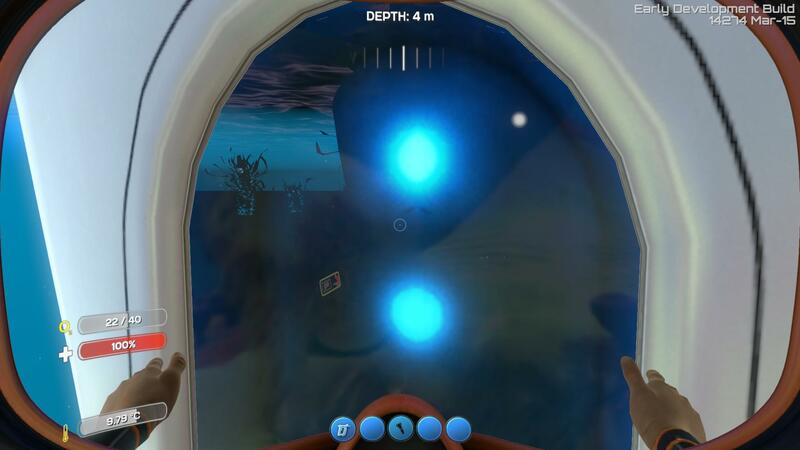 Also note that the inside of the cyclops has a white wall, and dosnt have a window. Energi on the seaglide depletes whitin minutes. And when energi is depleated, the animations stops, but the speedbost is still gained. Thermometer location in freedom mode is the same as in survival mode. Idea: Recycle buildables. Have a way to recycle built corridors and other constructions. 1. Recycler - The opposite of the Builder. Target an object by looking at it, which places a red outline around it. Right-click to remove it. 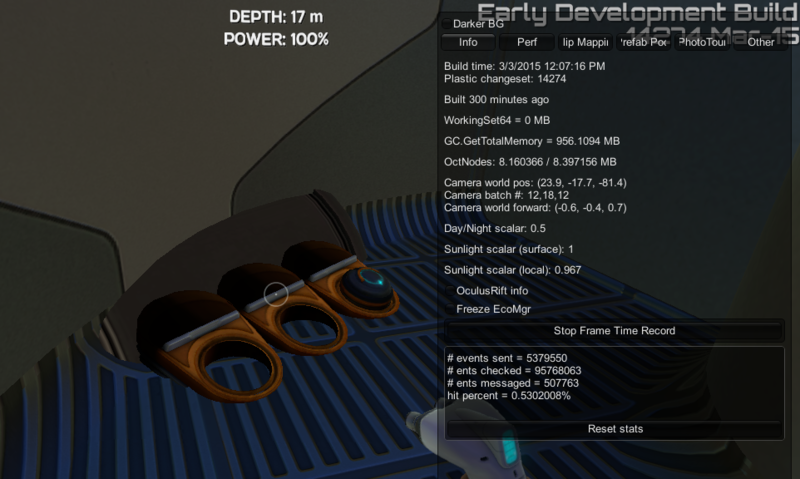 Give back a small % of resources used to build the item that was removed. 2. An option in the right-click menu of the Builder - "Recycle" - with similar functionality as above. Important note: This kind of ability has some potentially dire multiplayer consequences, and could promote griefing. This should be considered during the design of this feature. EDIT: Technically, even building could be considered griefing. A far-in-the-future idea might be multiplayer server options that contain checkboxes including "Allow Recycler" and "Allow "Builder". Food for thought. 1. Place power generator first. 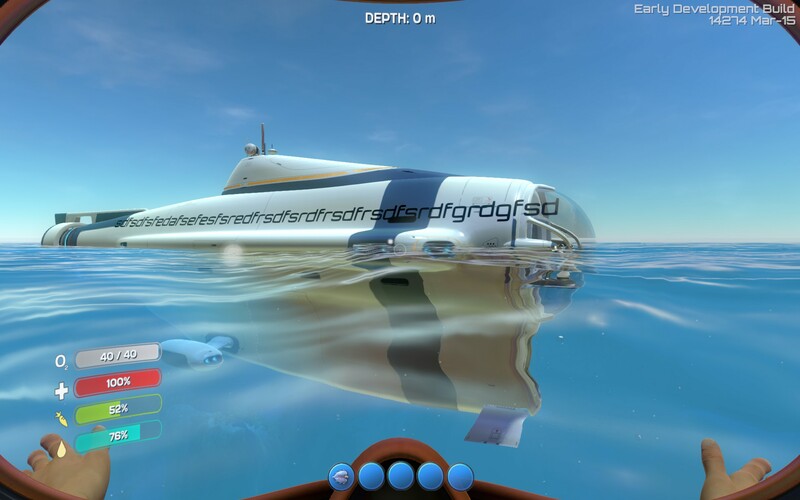 also happening to me, WITHOUT building a sub. 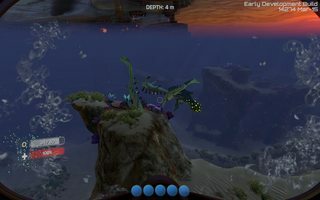 I had an issue where I crafted a storage cube and dropped it on top of the lifepod's hatch. I filled it with items, then left via the hatch. When I came back in via the hatch later, the crate disappeared. I have tried to reproduce this but can't, maybe someone else has some luck? 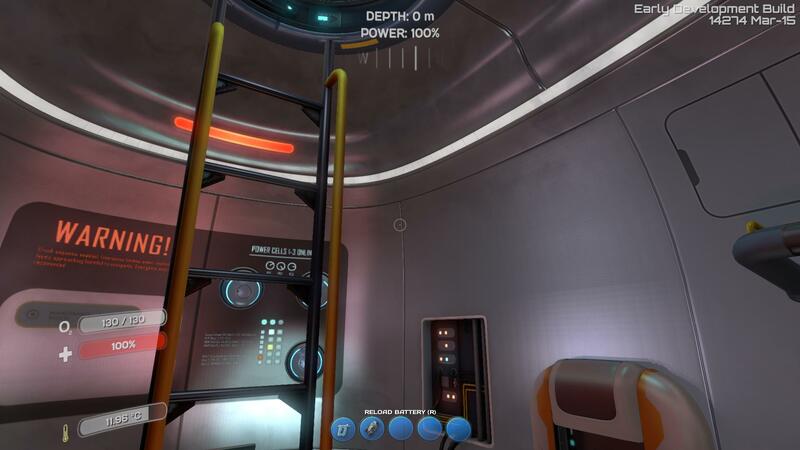 Base Power Generator does not save. It is gone when a save is reloaded. 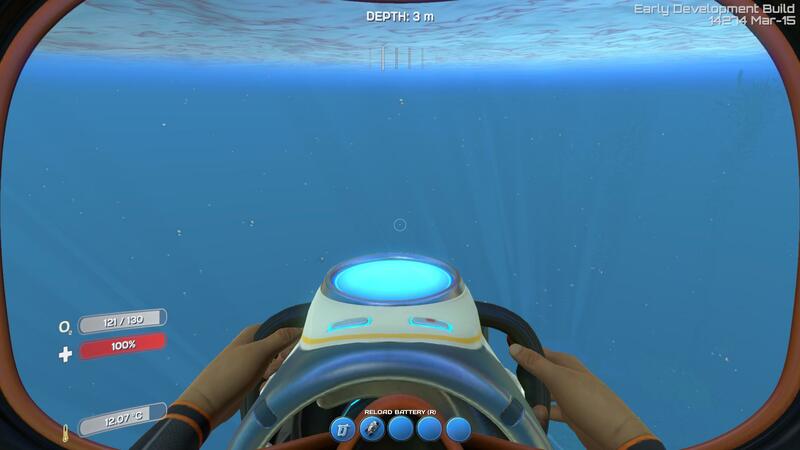 Player needs the same dive-reel equipped as was used to place an anchor to pick the anchor up. 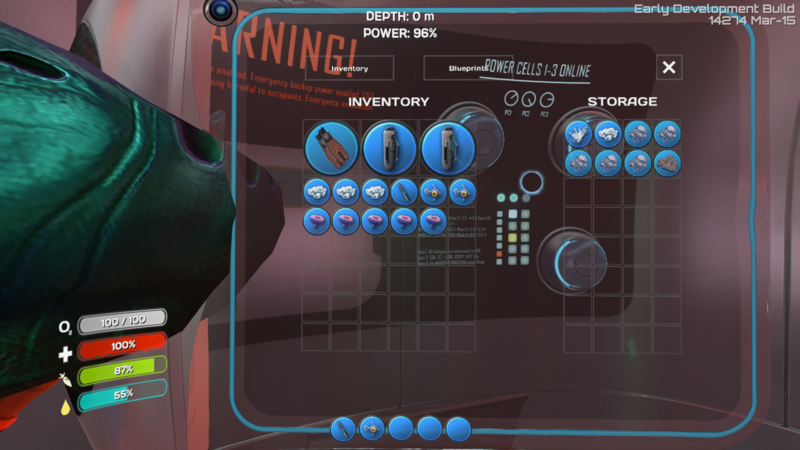 Dropping all dive reels can quickly sort out which one this is, but it's still a little silly. 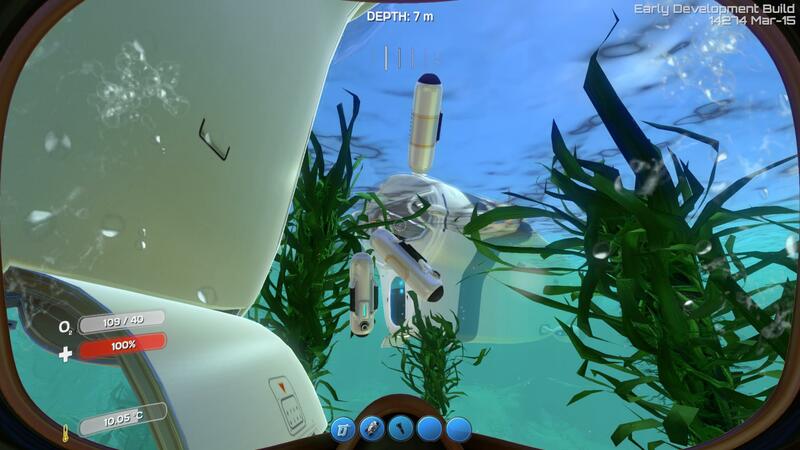 Player is typically deployed facing backwards and behind a SeaMoth when exiting it instead of in front or facing it. Collection size for salt is really tiny and could use a more forgiving grab area. SeaGlide power consumption rate feels a little too fast. 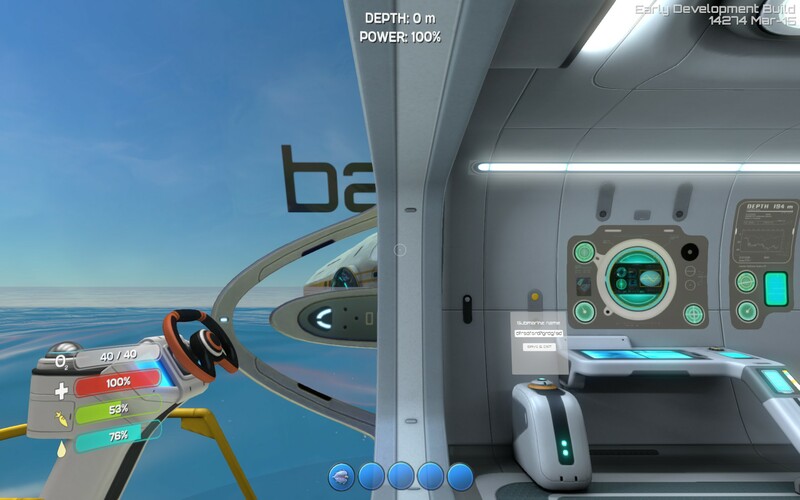 Seabase + cyclops titanium demand could be used to encourage future Mining mechanics. Manually assembly is tedious, but doable within a couple hours. Food demands are pretty high. Probable encouragement to move to seabase operations. Water Desalinization and salt crystallization would go a long way to alleviate time spend on food production. 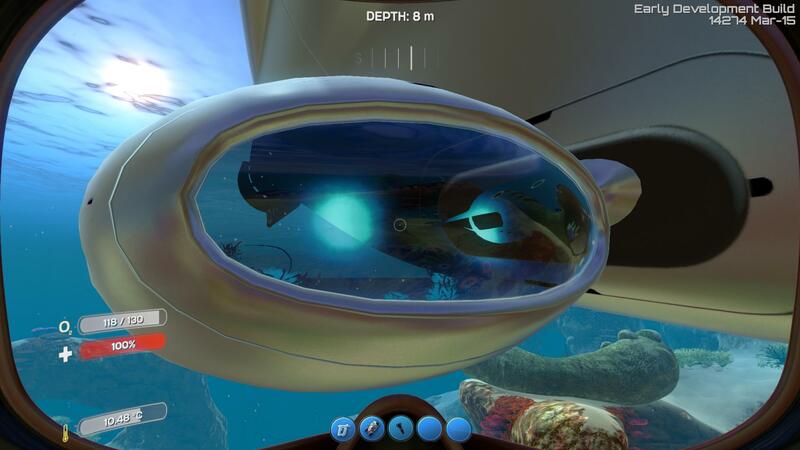 Anchor dive reel to SeaMoth/Cyclops? Improved food recipes for higher 'yield' foodstuffs. Fish salad, fish tacos, fish'n'shrooms, fried fish.. some variety is better than none. This can help reduce food stockpile sizes, and reduce the questionable practice of cooking your food with the same tools used to make rubber gaskets and batteries. Challenge of Oceanographic Survival vs Alien: Isolation game atmosphere. Avoid nightmare fuel and making people too scared to explore/progress. How the team could become any more awesome without superpowers. Co-op rather than open-lobby seems more than appropriate here. Open lobby is just a synonym for 'cesspool of trolls' good enough for shooters, not good for sandboxes. 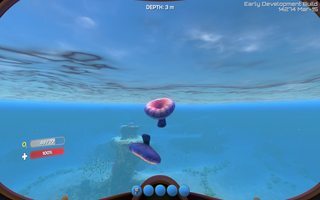 I had started a new survival game and the gameplay felt good balanced and "smooth" to me. It was work to get things done, but the fun kind of work. Because of the gamecrash i lost 1 hours work and that hurt. Maybe there should be a autosave. There are tons of such games out there in the market. The "nice" ones are hard to find. There are millions of parents that fight against their kids playing games they should not play. This game has the potential to be one of the kind parents would appreciate. And also adults (like me) that like some relaxed gameplay. Maybe you could have that in mind when you have to decide in which direction your game should evolve. ( i hope you will).